region of Southeast Asia encompassing Vietnam, Cambodia, and Laos). 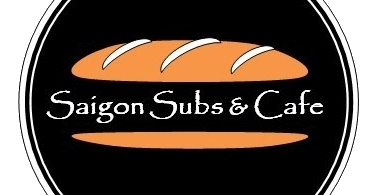 In the south Vietnamese city of Saigon, the newly introduced baguettes were used to craft sandwiches containing French ingredients such as mayonnaise, cornichons (pickles), and pâté. 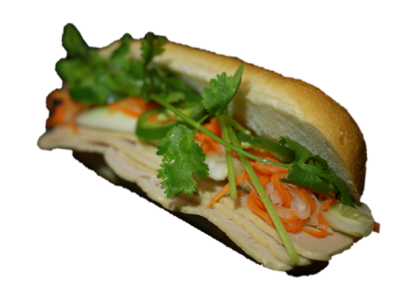 The original sandwich evolved over the years as the Vietnamese began incorporating elements of local cuisine like daikon (white radish) and pork belly. 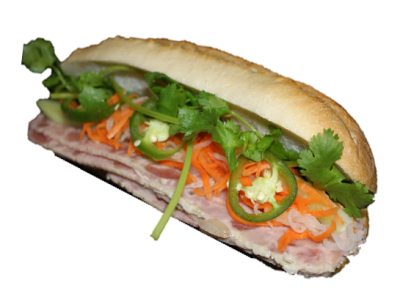 Today, many varieties of the traditional bánh mì exist, although the sandwich usually contains some combination of pâté, jalapeños, pickled daikon and carrots, cucumbers, cilantro, grilled or barbecued pork, and various cold cuts. This harmonious marriage of French and Vietnamese cuisine is a global phenomenon for good reason. 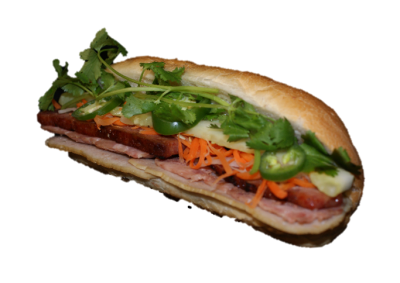 The bánh mì sandwich is delectable, appropriate for any occasion, and sure to leave you craving for more.